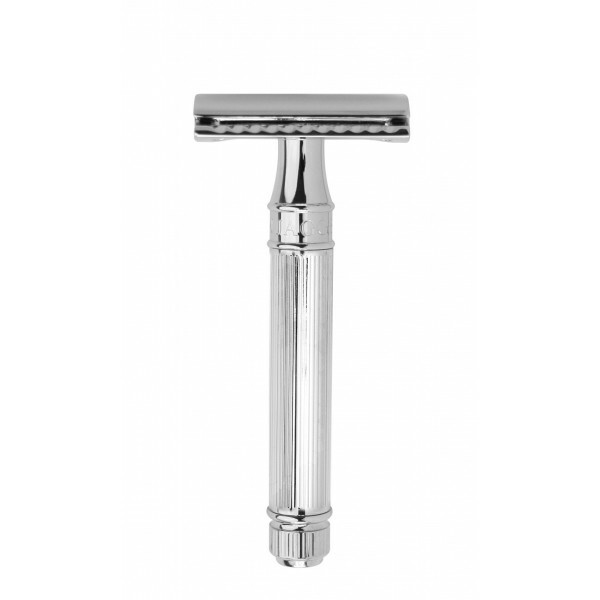 Home>Gifts for him>The wet shave>Razors>Double edge safety razor, chrome plated. Double edge safety razor, chrome plated. Double edged chrome plated safety razor, with lined handle. Built to last, made in Sheffield. With free pack of 5 double edged blades. Beautifuly weighted. Width razor head approx. 4cm length 9cm. Handmade in Sheffield, England.